Pioneers in the industry, we offer 4,4-dichloro benzophenone and l carnitine fumarate from India. 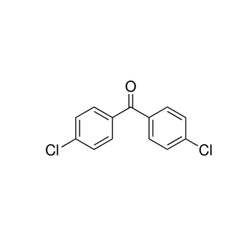 4,4'-Dichlorobenzophenone is prepared by the acylation of chlorobenzene with 4-chlorobenzoyl chloride. The conversion is typically conducted in the presence of an aluminium chloride catalyst in a petroleum ether solvent. l-Carnitine is an amino acid found abundantly in skeletal and heart muscle. It functions primarily to support fat utilization by acting as a carrier of fatty acids into the mitochondria, where they are oxidized and converted to energy. l-Carnitine also facilitates the removal of short and medium chain fatty acids from the mitochondria that accumulate during normal metabolic processes. In studies, l-carnitine has demonstrated the ability to promote oxygenation of heart muscle and maintain healthy enzyme activity, support cardiovascular energy, enhance exercise recovery, and maintain healthy lipid metabolism. Fumarate, or fumaric acid, is an important compound, which is also naturally present in the body. 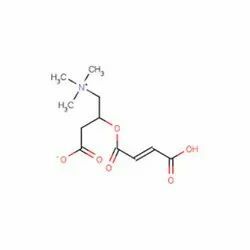 Looking for 4,4-Dichloro Benzophenone ?